The Silent Isle: 12 Days of a Pioneer Christmas--And A Giveaway! 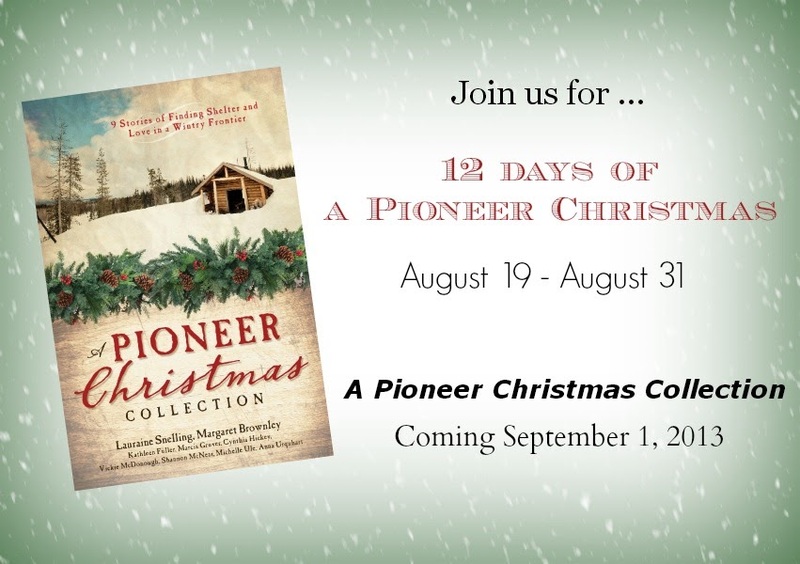 12 Days of a Pioneer Christmas--And A Giveaway! I want to briefly introduce each of the authors who contributed to a Pioneer Christmas and offer a snapshot of each story included in the collection. Then, at the end of it all, offer you a chance (several chances, actually) to win a copy of the collection signed by all 9 authors! Several writers deliberately sought often over-looked times and places. Anna Urquhart had seldom heard of pioneers traveling by water and examined the opening of the Erie Canal in the 1830’s which led to settlements in Michigan Territory. A Silent Night actually begins in Edinburgh, Scotland and follows the challenges of making a life in the big woods of the upper Midwest. A Pony Express Christmas by Margaret Brownley takes readers to a spot most of us think we know—or do we? When a vigorous young woman goes in search of her long-lost express-riding brother, she saves a man from outlaws and drives him to help her search. Set during the Civil War era, A Pony Express Christmas leads us eventually to Chimney Rock and resolution. have you had to “make do” for Christmas? Enter my Pioneer Christmas Giveaway! You can choose any of the option below to enter (tweet, make a comment, "like" my FB page, follow me on Twitter) or you can do them all! The more you do, the more times you're entered into the Giveaway. Just follow the prompts below. Come back and visit every day during our 12 Days of Christmas and have another chance each day to enter the Giveaway. Winner will be announced on Tuesday, September 3. See you tomorrow! I'd like to THINK that I'd survive as a pioneer woman, however, my ridiculous obsessive compulsive tendencies and need for stability would be quite a hindrance. I suppose I'm more of a behind-the-scenes assistant type rather than the visionary that paves the way. Also, I've very excited to read more! Haha! You make me laugh, Lauren. Yes, OCD tendencies would be difficult to manage while foraging for existence in the wilderness. It's good to know your strengths and limitations :) But anything's possible! I lived on my grandparents farm for a couple of years but did not really appreciate the fresh fruit, long walks, etc... I chalk it up to being a teenager who was too busy with other activities. I would imagine if I was living as a pioneer that I would adjust and enjoy it but I am a city girl at heart! Thanks for popping your head in! This sounds like just the right book to read in November to create a joyous spirit for the season. It would help in keeping priorities straight to consider the difficulties people overcame in the past in order to celebrate the birth of Jesus. Yes, I'm looking forward to re-reading these stories to my daughter as the Christmas season gets closer. Thanks for stopping by for a visit today, Janice! Nice to see you! Ah yes, the iPhone. I believe the pioneers' iPhone consisted of a tin cup, string, and an attachable sundial. At least that's what the history books tell me. :) I believe you would be an amazing pioneer, Danni. I'd want you in my wagon train, that's for sure! This sounds really fantastic. I'm looking forward to reading it. Congratulations on your upcoming publication.